Our makeshift campsite under a juniper tree was very comfortable and if it wasn’t for the thread of another very hot day, we would have slept in. Two months on the trail! We deserved to sleep in but instead we reluctantly pulled ourselves from our cozy sleeping bags and packed out, and the race to beat the heat begun again. Hike quickly. The heat is coming. Our progress was slowed by a necessary water stop at Cache 22, just little over a mile from camp. We faced 13 mile waterless stretch today, during which we were to finish hiking the Hat Creek Rim and I wanted to make sure we stayed hydrated so we took three liters of water each. 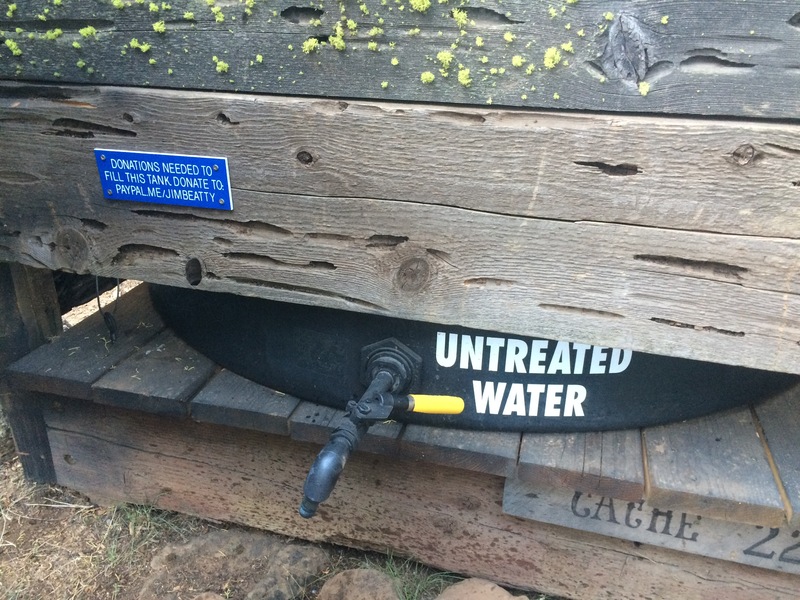 Cache 22 is a large 500 gallon tank that is maintained by a previous PCT hiker who lives 2.5 hours away but generously decided to help hikers during this long waterless stretch. Liter of water costs him $0.50 and donations are encouraged so that this cache can become a permanent water source. After the half an hour water stop, I picked up the pace and we flew along the remaining section of Hat Creek Rim, admiring the views of Mt. 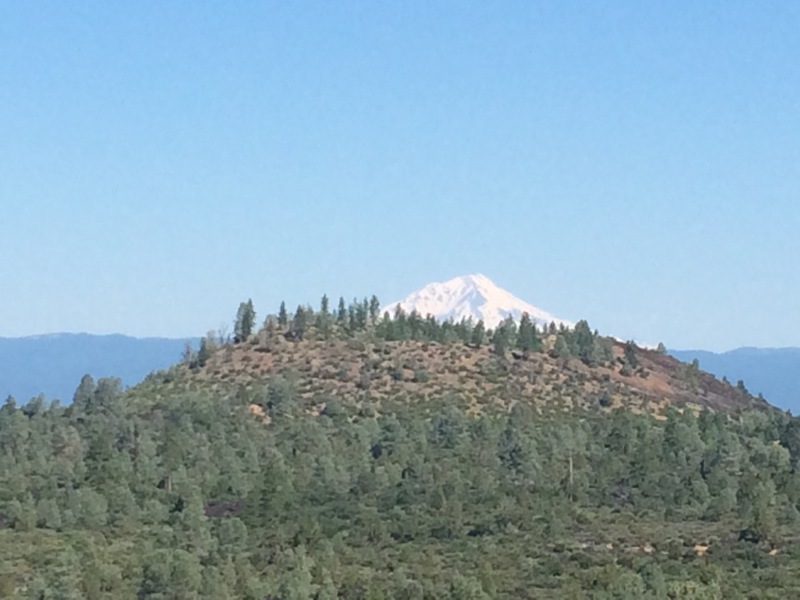 Shasta, a volcano that has been on our list of mountains to climb for quite a while. The conditions should be quite right at this time of the year and maybe we could squeeze a side trip to burn some time and give the snow up North more time to melt. The temperature skyrocketed today, breaking a record from 1975. It rose to above 100 degrees and even in the relatively early morning hour when we hiked Hat Creek Rim, it was already hot and drops of sweat started rolling down my forehead. 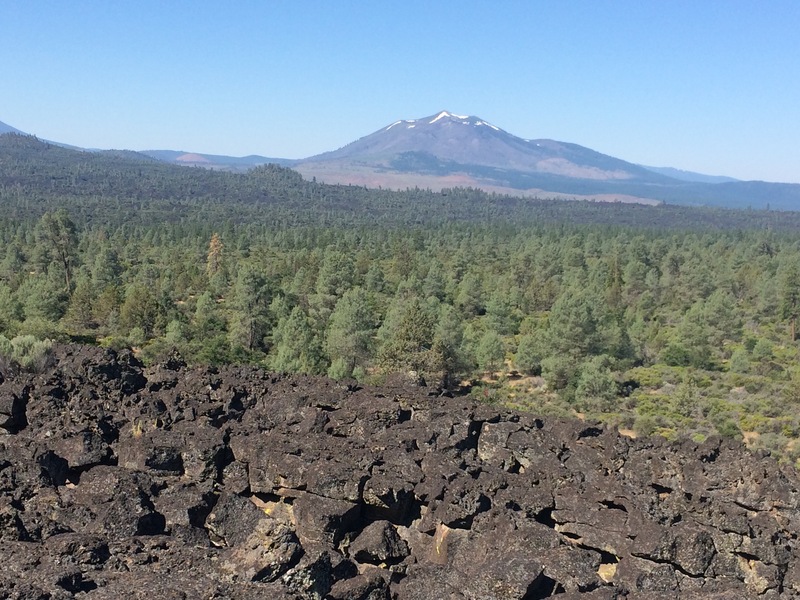 Blister creating lava rock in the foreground. We were challenged by the terrain as well. While the trail was nearly flat, we only needed to gain about 600 feet the entire day, the path was not always smooth. As a matter of fact, the smooth sections were few and far between. The rest of the trail was made of sharp lava rock and while the volcanic rock looked nice in pictures, the bottom of my feet suffered. 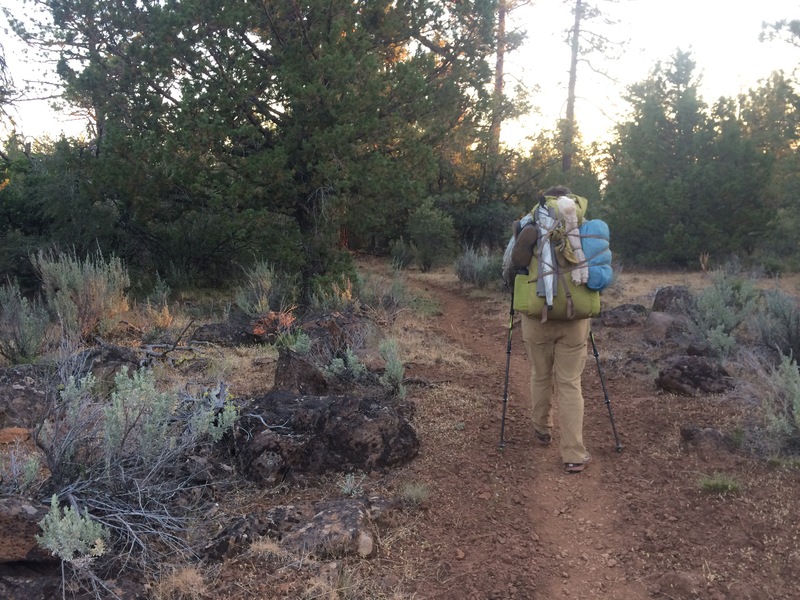 By the time we arrived at Burney, I felt like I was walking on hot coals. I was glad we planned a zero here and I hoped one zero would give my feet enough time to recover. Each developed large blister right on the ball and another sizable blister was staring at me from one of my big toes. I thought that after 800 miles I was past the blister stage but Northern California proofed me wrong. 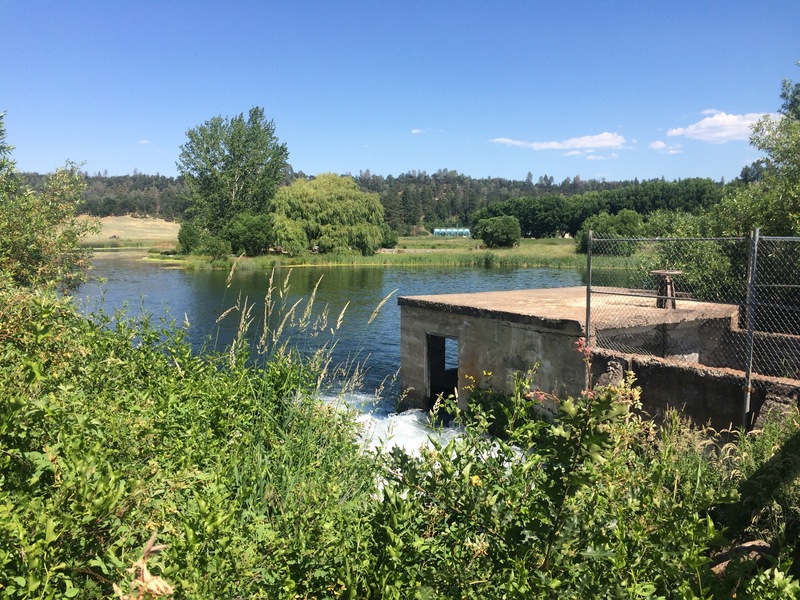 Burney was a fun stop for us. We were meeting Dave’s brother-in-law Blake here who spent some time riding his bike along Route 66 and was now returning back to Canada. It was nice to have a drink with him in the evening and share storied from our trips. More of chilling and catching up will happen tomorrow . wow! Mt Shasta is a beaut! I have been there!